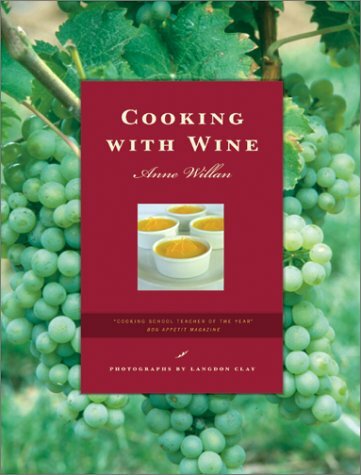 World-renowned culinary expert Anne Willan, founder of the La Varenne Cooking School in France and author of more than 20 internationally recognized cookbooks, shares her special techniques for cooking with wine in this spectacular full-color cookbook. The 221 recipes, as we have come to expect from Anne Willan, are extraordinary - ranging from such classics as Beef Bourguignon, Salmon in Champagne Sauce, and Strawberries Romanoff to elegant contemporary dishes such as Port Wine Gazpacho and Roasted Lobster with Ginger and Sherry Glaze. Also included are suggestions for wines to drink with each dish. Surprisingly, This is the first major cookbook on this popular subject. Readers will agree it was worth the wait!